Erik Wardell is a digital marketer specializing in search engine optimization (SEO). At Pathfinder SEO he works directly with subscribers to coach them through the SEO process. He is passionate about taking complex SEO topics and making them more approachable for website owners and freelancers. If you are building a WordPress website and want people to find it, it needs to be discoverable in search engines such as Google, Yahoo, and Bing. Learn how to generate more revenue and increase sales from your website by increasing the traffic with SEO. Search engine optimization is the process of generating free or organic traffic to your website from Google, Yahoo, and Bing. SEO is both an art and a science. While the practice of SEO changes as the search engine algorithms evolve, there are foundational, long-lasting practices that you can implement to get found in Google, Yahoo, and Bing. SEO is one of the most affordable and effective digital marketing strategies out there. Many digital marketing techniques like pay-per-click advertising, newsletters, and social media immediately cease to drive web traffic when discontinued. SEO generates a long-lasting impact on your website’s ability to receive organic traffic via search engines. SEO is one of the most affordable and effective digital marketing strategies out there. Now that you know what SEO is and why it’s important, let’s take a look at what else you need to know about it. Every search engine has its own web crawlers, a.k.a. bots and spiders. They are computer programs, but it’s definitely more fun to think about them as little robots. These crawlers are sent out to crawl the internet and bring back information about the web pages they discover. The goal of each crawler is to visit the pages on every website and make sense of what kind of content exists on those pages. They then add their findings to their search engine’s index. This index acts as the search engine’s map of the internet. Then, when people open their browser and search for something, a search engine will go to its index to find the web pages that are the most relevant to that search. The pages it finds with the most relevant content are what gets populated in the search results. You want to make it easy for search engines to crawl and index the pages on your website. You also want to create the best content possible, so search engines recognize it as outstanding and rank it higher in search results. You want to make it easy for search engines to crawl and index the pages on your website. SEO can be quite complex. It becomes easier to understand when you break it down into three categories. On-Page SEO includes everything you do to improve the content on your website. Search engines look at on-page enhancements to figure out how user-friendly your site is and how valuable its content is. If your site is user-friendly and has exceptional content, it is more likely to appear in search results. Off-Page SEO is comprised of everything you do outside of your website to improve how it ranks in search engine results. Search Engines look at off-page signals to evaluate how authoritative your site and each of its pages are. The more authoritative the site or web page, the more likely it is to rank in search results. Technical SEO entails everything you do to ensure that your website is easy to crawl and index. Search engines want to be able to crawl your website with minimal effort. The easier you make it for them with solid technical SEO, the more likely they are to populate your site in search results. It’s essential to address each of these categories if you want to have a comprehensive SEO strategy. Knowing your audience is critical. After all, how are you going to provide the people you are trying to reach with high-quality content if you don’t know what they are interested in? One of the best ways to get to know your audience is through a practice called keyword research. This is the process of using online tools to discover what topics, or keywords, your audience is searching for. Most keyword research tools also show you how many searches occur for a given keyword on a monthly basis. Some also show you how competitive those keywords are. One of free keyword research tools, keywordtool.io. Search engines use keywords as one of the primary ways they find relevant content to place in the search results. If you have great content with keywords that match those that people are searching for, your content is more likely to appear in search results. Keyword research is foundational in SEO. Learning how to properly do it is one of the most valuable things you can do for your website. “Content is king” has been a long-standing adage in the SEO industry for good reason. Having quality content on your website is essential to SEO. Having high-quality, unique content that your audience finds extremely valuable is even better. Search engines are becoming more adept at differentiating high-quality content from low-quality content. They gauge content quality based on the amount of time users spend on a page, how often it gets shared, what other articles it links to, and more. On for the best way to gain traffic from search engines is by creating shareworthy content that provides value to your audience and keeps them coming back for more. The way you structure content on every page is going to have a major impact on the way both users and search engines interact with it. When you properly structure on-page content for both people and search engines, that content will signal that it is valuable and worth visiting. You can properly structure content for people and search engines by employing keywords, heading hierarchies, internal links, page titles and meta descriptions, and other on-page optimizations. Search engines look at off-page signals to determine how trustworthy your website is. The main way they do this is by looking for links, a.k.a. backlinks, that point to your website. Social signals, PageRank, and other off-site signals also come into play but are less important. Links act as votes on the internet. When links point to your site from other great websites, search engines are more likely to believe that your site is also authoritative and should appear in search results. The process of proactively cultivating links is called link building. Links act as votes on the internet. Not all links are created equal. Quality outweighs quantity and you don’t want links pointing to your site from so-called “bad neighborhoods” or spammy websites. It’s important to keep up a good rapport with search engines and make it easy for them to crawl and index your site. There are several tools you can use to do this. The most important being your XML sitemap, robots.txt file, and robots meta directives. These help you tell search engines how you want them to crawl and index on your site. You can also use them to indicate what pages you prefer they not index and show in search results. 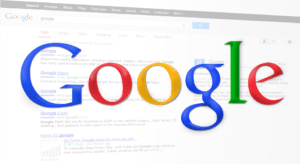 Submitting your site to Google and Bing is a process known as search engine verification. In doing so, you establish a direct line of communication with the search engines and get access to useful information about your website. If pages on your site don’t load within 2-3 seconds, you are going to see people abandoning them before they get a chance to display. Search engines are also going to see this and factor it into how they rank those pages in search results. You can use a tool like Pingdom to test how quickly pages on your website load. If you are finding that you have snail-like load times, use these recommendations to speed things up. Visitors and search engines will reward you with more web traffic. Installing a WordPress plugin like Yoast SEO or All in One SEO Pack is a must. It’s going to make doing SEO work much easier. Install one and get to know it. However, just installing a plugin and expecting it to do your SEO for you isn’t going to cut it! SEO plugins are tools, not comprehensive strategies that will actually help you rank in search results. Couple them with a great SEO strategy to get the best results. Hiring an SEO Agency or Consultant can be the most efficient and effective way to approach SEO. However, they can be expensive. If you go this route, make sure you properly vet any SEO agency or professional before hiring them. DIY SEO is the most affordable approach to SEO, but it’s going to take a lot of time and patience. There are two ways to pursue DIY SEO. Piecing it together yourself using resources like Moz, ahrefs, and SEM Rush. Or, you can use a course on Lynda, Skillshare, or Coursera. The trouble with both is that it can be hard to know where to start, what applies to your site and what doesn’t. This can lead to a less than comprehensive SEO strategy or lots of wasted time learning information that will never apply to your site. Guided SEO is a great option for people with little SEO experience. Unlike DIY SEO, it guides you through the entire SEO process. You know exactly where you need to start and what SEO tactics you need to employ along the way. Even better, you get a human SEO coach as your guide. This results in a comprehensive SEO strategy. Pathfinder SEO offers a great guided SEO experience. Keep in mind that SEO isn’t a “set it and forget it” digital marketing initiative. It requires an initial investment of time and effort to establish a solid SEO foundation. After that, ongoing SEO maintenance ensures your site continues to appear in search results for years to come.